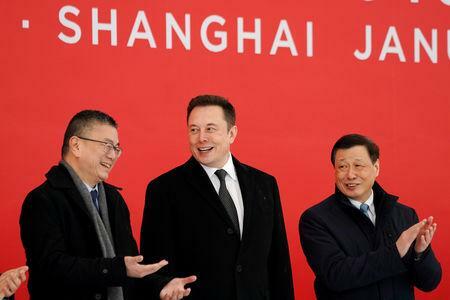 SHANGHAI/BEIJING (Reuters) - Tesla Inc broke ground on Monday for its Shanghai Gigafactory where it plans to begin making its Model 3 electric vehicles (EV) by year-end, a first step in localising production in the world's largest auto market. 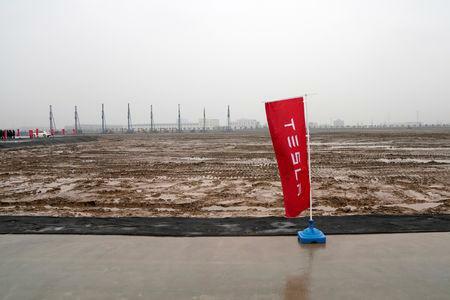 The so-called Gigafactory is China's first wholly foreign-owned car plant, a reflection of China's broader shift to open up its car market, even amid a trade war with the United States which has seen a rise in tariffs on cars imported from the U.S.
Trade war aside, the carmaker is building the plant in an auto market that likely contracted last year for the first time in decades. 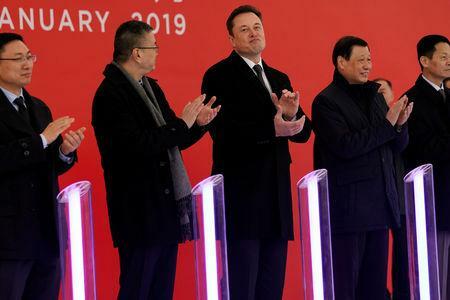 However, sales of so-called new-energy vehicles (NEVs) - a category which includes Tesla's battery-powered cars - continue to be strong in a country where the government aims to shift away entirely from combustion engine vehicles.